Clearwater Cove is one the newest subdivisions to come available. It is located on Durham Creek, just off the Pamlico River. Steeped in history and abundant in wildlife, Clearwater Cove is an ideal setting for those attuned to nature, with all modern day amenities of course! Waterfront properties of this type are difficult to find anywhere. But Clearwater Cove offers a selection of eight different waterfront sites, with a commons area for all to enjoy. 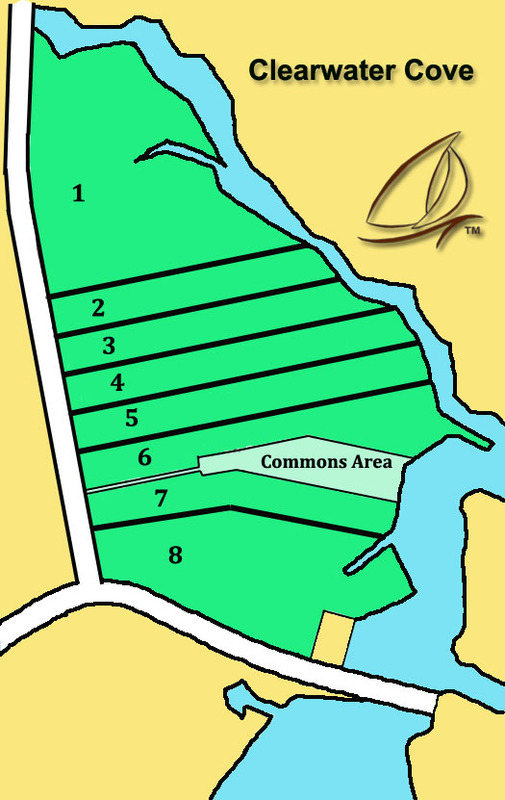 Lot sizes range from over 1.5 acres to lots over 6 acres. Clearwater Cove 2 acre waterfront lot with boat slip prices start from $99,990. For maps, directions, prices and more information contact us today. Washington is the county seat (Beaufort County) and All American City. It was the first town in America to be so named. It is located on the Pamlico River and the Intracoastal Waterway. Beaufort County has more shoreline than any other county in the state. The town was named after General George Washington in 1776. The entire waterfront area of Washington is listed on the National Register of Historic Places. There are almost 30 buildings that date back to 1780 all within this area. Manufacturing accounts for 15% of the areas employment. Tourism and relocation (real estate) are the primary economic engines Arts and culture is a vital part of Washington. The historic Turnage Theater, in cooperation with the East Carolina University School of Theatre and Dance will soon play host to its own dramatic arts series. Greenville is approximately 20 minutes to the east of Washington. New Bern is approximately 30 minutes to the south. The closest town is Aurora NC.